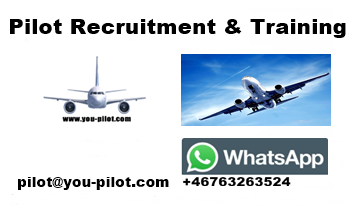 Pilot Jobs For Captains A320, B737 Type Rating, Pilot Training, Aircraft Delivery: Pilot Jobs. Open positions. 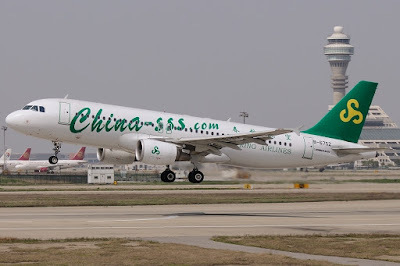 Requirements for Captains at Spring Airlines. Contact pilot@you-pilot.com for more information. Send your aviation related documents to pilot@you-pilot.com for more information, and to receive the application form. 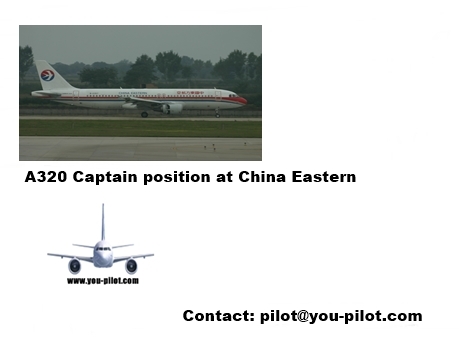 We are recruiting Captains for China Eastern based in Shanghai. Contact www.you-pilot.com at pilot@you-pilot.com if you meet the following requirements. Contract options, and payment after tax. 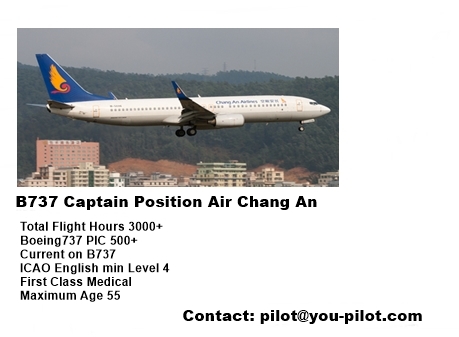 www.you-pilot.com are recruiting captains for Tianjin Airlines in China. We offer great salary, and you can chose the solution that is most suitable for you and your family. www.you-pilot.com and our partner airlines offer's various type of contract, when it comes to length, and if you are looking for a rotational on-off contract, or a residential captain position. Tianjin Airlines operates a fleet of 90 aircraft's as of today, and with orders of 20 more. 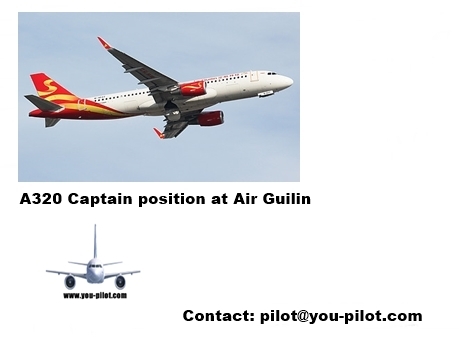 Are you an experienced Airbus 320 Captain with a minimum of 3000 hours total time, and at-least 500 of them as PIC on the A320 you can apply to work for Tianjin Airlines as a Captain. We are also recruiting Captains on the Embraer 190, and E-195. 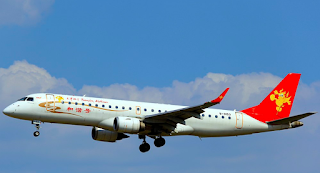 Tianjin Airlines in China has a order of 20 Embraer 190-E2 from the Brazilian manufacturer. 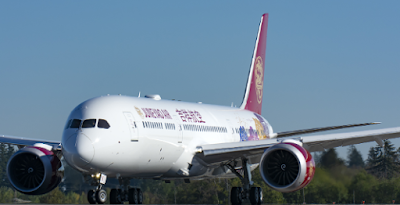 Boeing delivers the first of ten 787-9 Dreamliner's to Juneyao Airlines. Juneyao Airlines have orders for nine more Boeing 787-9. The fleet of Juneyao Airlines consist's of 41 Airbus A320-200, and 27 Airbus A321-200, together with the latest addition of the Boeing 787-9. The 787-9 can carry 290 passengers and fly up to 7,635 nautical miles (14,140 km), while reducing fuel use and emissions by 20 to 25 percent compared to older airplanes. 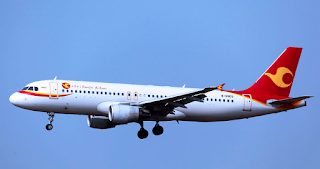 Juneyao Airlines is a major carrier based in Shanghai, China, operating both domestic and international services from Shanghai Hongqiao Intl' Airport and Shanghai Pudong Intl' Airport.